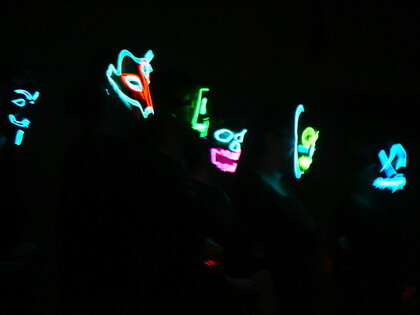 House Music - always a highlight in the calendar! 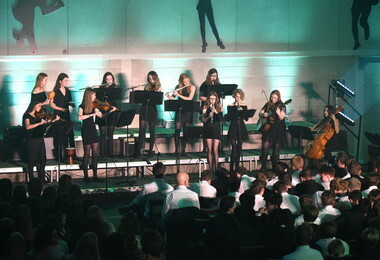 - took place on Thursday 18th October, uniting every pupil in the Senior School for a wonderful celebration of music. 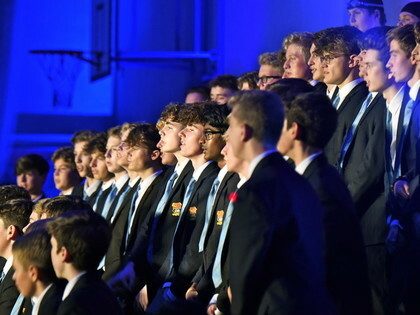 In the build-up to the competition the intensity and frequency of rehearsals increased and all the Houses worked relentlessly on improving their instrumental and vocal arrangements. 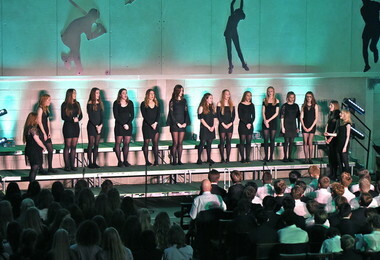 The Heads of Music of each house produced excellent work and, together with their Housemasters and Housemistresses, were key to making this such a successful evening. This year the adjudicator was Andrew Dibb, an experienced organist, ABRSM examiner and former Director of Music at St Paul’s Cathedral School. 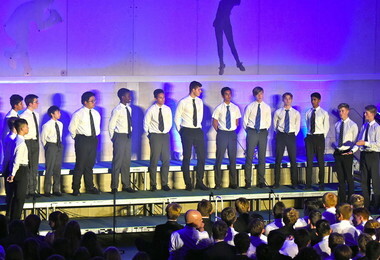 Mr Dibb was very impressed with the quality of the music and the high level of preparation from all of the Houses. 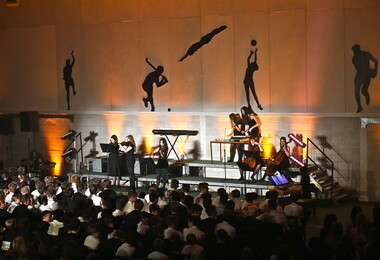 The Instrumental Section of the competition featured a good number of arrangements of pop and rock songs as well as movie soundtracks. 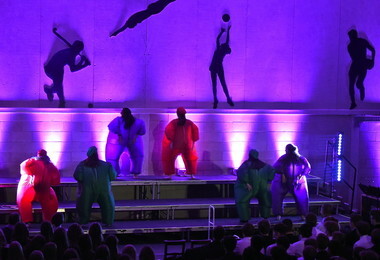 The nature of the different ensembles was very eclectic, with many combining electric and acoustic instruments as well as a large selection of percussion instruments. 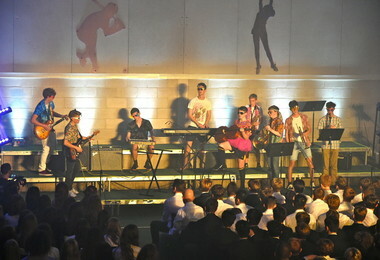 Some of the musical numbers featured exciting electric guitar sounds, such as ‘Smoke on the Water’ performed by RPH, while others included rasping saxophone solos, such as ‘Baker Street’ and ‘I like to move it’ from Rowe and Hayward. 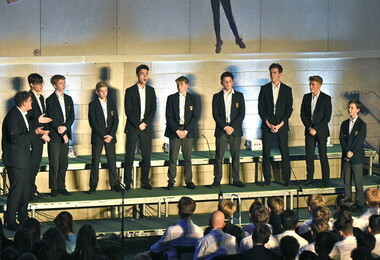 Collett and Trotman chose more intimate arrangements with their renditions of ‘Over the Rainbow’ and ‘Disney Medley’. Congratulations to Hayward House, who won this category, with RPH in 2nd place and Benson and Rowe in joint 3rd. 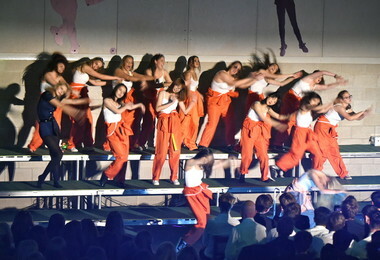 The part-song is perhaps the most challenging section of the competition. All the Houses need to prepare an unaccompanied song containing three or more independent melodic lines. Maintaining accurate pitch and rhythm without instrumental help is a fairly big challenge that was met successfully by all of the ensembles. 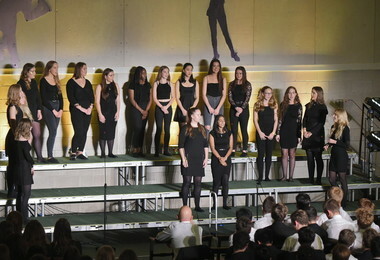 There were numerous highlights, including the melodious arrangement of ‘Super Trouper’ sung by Alliott, the classic California sound of ‘Surfin’ USA’ sung by Hayward and, in a fitting tribute to Aretha Franklin, ‘I say a little prayer’ performed by Benson. This was a highly contested section of the competition and the overall winner was Young House with ‘Pompeii’, with Collett and Sutton scoring 2nd and 3rd places respectively. 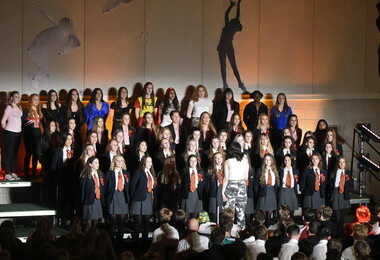 Unison Song is the final round of the competition and involves all pupils in each House singing together. 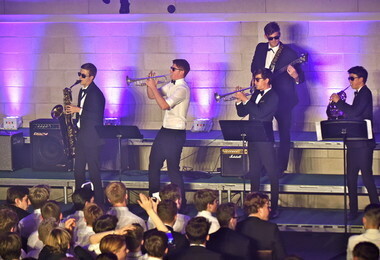 Before everyone takes to the stage, however, the Upper Sixth do their "walk up", a carefully planned and hugely anticipated event involving hilarious costumes, special lighting effects and pumping music. The adjudicator was very impressed with how committed the students were to their performances. This round was closely contested, with very few points separating the top five houses. 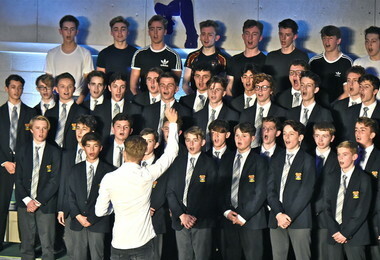 Trotman was awarded 1st prize with ‘Baby, One More Time’; Tee was 2nd with ‘Forget You’ and Benson was 3rd with their performance of ‘The man who can’t be moved’. During his adjudication, Andrew Dibb was hugely complimentary towards all of the participants and mentioned that in all his time examining and adjudicating, this was by far the most impressive music competition he had ever attended. Many congratulations must go to all of the Heads of Music for their hard work as well as to every performer, the House staff for their continued support and of course to Helen Pervez and the rest of the Music Department for their assistance with rehearsals and arrangements.